from my childhood is my mom reading Pippi Longstocking to me. My mom was a dreamer and a passionate reader and instilled in me the same desire to be transported to another world through a good story. The first night I ever spent away from home was at summer writing camp. I was terrified at first to be alone until I realized I was surrounded by people who shared the same devotion to reading and writing as I did. These were my people, my tribe. At university, it seemed only natural to enroll as an English major because it meant I could read and write, read and write, read and write my way to a degree. to my mom. She couldn't understand why I wasn't writing for a living since this was the only thing I ever wanted to do. But I love to cook as much as I love to write and once I wrote my first cookbook, it finally made sense to my mom, and to me. I never feel like I'm working when I'm writing a cookbook, even though the process entails a ridiculous amount of work. Telling the stories of the people I meet, writing recipes inspired by the ingredients and cooking techniques I discover, and journeying to the planet's far flung places to taste something unusual and get a little lost conjures the magic readers and writers all know about, the white hot light sparked when you surrender to a good story. I am represented by literary agent Jonah Straus, who loves a good taco and platter of oysters as much as I do. The word chaat means “to lick” and these iconic Indian street food snacks are utterly lickable! There are thousand of chaats available throughout India; their tangy, sweet, sour and spicy flavor profiles a beloved staple in every corner of the country. Historically, a unique chaat was served at every Indian train. The Chaat Express, co-written with chef Maneet Chauhan, will explore India’s dizzying chaat culture through the lens of an epic train ride to every corner of this vast and extraordinary nation. The book will be published by Clarkson Potter in the spring of 2020. Follow along on Instagram at #thechaatexpress. This is a passion project I've dreamt about writing for years. Throughout 2018, the photographer Kristin Teig and I will travel to fourteen nations (and plan to exhale in 2019) to profile the food traditions of the monasteries, temples, mosques, and synagogues where many of our ancient recipes and cooking techniques were born. The book will be published by W.W. Norton in the fall of 2019. 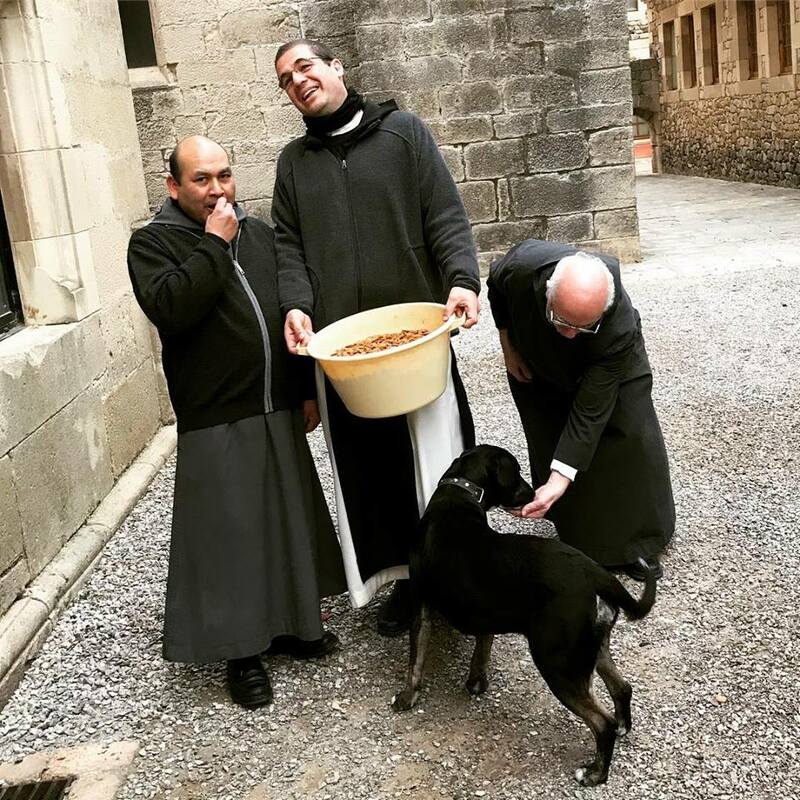 Follow along here and on Instagram at #monasterycookbook. I first traveled to Iceland two weeks after the nation's 2008 economic collapse, long before the country became a coveted destination for travelers and even longer before it experienced the culinary Renaissance currently underway. To be candid, the culinary scene in Iceland was dreadful during that first trip. I was there profiling chefs for Art Culinaire Magazine and was quickly losing hope. The collapse was shuttering restaurant doors faster than I could profile them. It was a time when locals valued imports over their own pristine raw ingredients, when the traditions of yesterday were being forgotten, replaced by industrial techniques that left no room for the customs Icelanders had relied upon for millennia to survive. Thankfully, there was a bright light beaming from chef Gunnar Karl Gislason, the last chef I profiled during that trip. He was literally carrying a basket of freshly foraged angelica through a field when I saw him for the first time. Gunnar was on the cusp of virtually single-handedly revolutionizing the food scene in Iceland. He transformed the nation's culinary future by looking to the past for inspiration. It was here that our story began. It's an ongoing adventure that's inspired me to visit Iceland over fifty times (and counting), drive around the country to meet its food producers countless times, and find inspiration again and again in a country of unparalleled beauty where good food now abounds thanks to Gunnar's vision and the conviction and courage of its food producers. North is our love letter to a nation that has become my second home and to the people who valiantly keep its food traditions alive. I am so grateful to the cookbook editor Jenny Wapner at Ten Speed Press for believing in this book from the very beginning and to Noma's Rene Redzepi for penning the book's foreword. North opened a door in my life that will never close. It's the passageway to Iceland that I travel through again and again, whenever I'm in need of glacial wind on my face, a fierce and insistent beauty in my heart, whenever I need to dream wildly, whenever I need to feel brave. This is the second book I've written with the Icelandic chef (and my soul brother) Gunnar Karl Gislason for Ten Speed Press. Gunnar embodies the hygge spirit of warmth and coziness from beard to toe. My lifelong friend Janine Ersfeld served as the Creative Director for The Hygge Life. 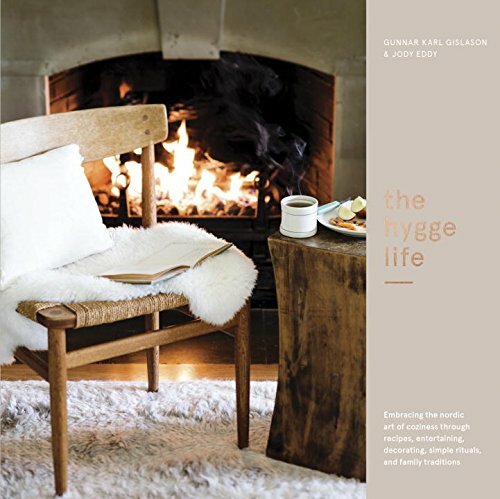 As native Minnesotans who have traveled and lived extensively throughout Scandinavia, we co-founded The Hygge Workshop in order to share with others the cozy art of hygge living. Follow along here and on Instagram at #thehyggeworkshop. Years ago, when I was living in New York City and in need of wide open spaces, I met a man from Ireland at The Oxford Symposium on Food & Cookery. He was the head of Ireland's food tourism board and while I think he was joking when he told me I should move to Ireland to write about The Wild Atlantic Way, a coastal driving route spanning the entirety of Ireland's western coast, I took him up on it and spent two years living in the rural west while writing this book. I lived in a nearly three hundred year old stone house on the shore of Lough Mask (the best trout fishing lake in Europe, by the way) next door to a seventy year old Connemara sheep farmer named Tony on one side and Raychel on the other side, a chef who became one of my most beloved friends. I could never get over the hike a few miles from my house that ended at the foot of Ashford Castle or the incredible food producers I met while I traversed the Wild Atlantic Way countless times for my research. I still catch my breath when I visit or think about Ireland and I always will. It's bewitching mossy forests and tender-hearted people soften my heart and make my spirit feel gentle yet invincible. Traveling to Cuba to meet and write about the nation's home cooks, farmers, chefs, and food producers was one of the highlights of my cooking and writing life. The book, which was published by Ten Speed Press, was co-written with the photographer Dan Goldberg whose gorgeous imagery populates the book and the extraordinary food and prop stylist Andrea Kuhn. My first book was co-written with fellow chef and author Christine Carroll, founder of CulinaryCorps. We met in New Orleans during culinary school where we traveled as scholarship winners for Share Our Strength whose mission is to end childhood hunger in America through its No Kid Hungry campaign. We were matched up as roommates during the event; little did we know that this fortuitous meeting would lead us to write our first cookbook about one of the restaurant traditions we most enjoyed as cooks, the family meal. Our whirlwind adventure led us to the kitchens of twenty-five restaurants throughout the world to profile their family meals including Andoni Aduriz's Mugaritz, Sean Brock's McCrady's, Juan Mari and Elena Arzak's Arzak, Fergus Henderson's St. John, Michel Bras, Thomas Keller's Ad Hoc, and Heston Blumenthal's The Fat Duck, where I worked as a stagiere and first came to love the family meal tradition. The book was published by Running Press and includes a foreword by Ferran Adria, who hosted a formidable staff meal of his own at el Bulli.